A powerhouse vocal product of soulful perfection that will be your new secret weapon, VOICES OF SOUL is perfect for any music requiring solo vocals or backing vocal harmonies using chords. SUSTAIN contains a variety of single syllable vocal instrument types, including Ah, Doo, Ee, Eh, Ha, Hm, Ho, Ho Expressive, Hoo, La, Mm, Oh, Oh Expressive, Oo, So Expressive, Wo, Wo Expressive. Most contain multiple velocity-sensitive dynamic layers, and a few contain additional “expressive”� versions. SPECIAL $199 INTRODUCTORY OFFER - DON'T MISS OUT! 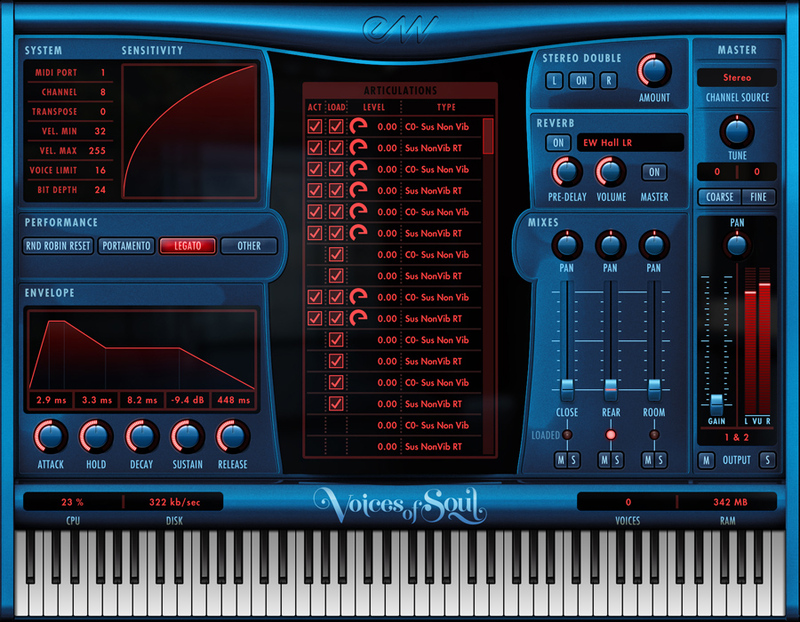 VOICES OF SOUL is available for purchase or as a free addition for all subscribers of COMPOSERCLOUD, EastWest’s multiple award-winning subscription service that has revolutionized the virtual instrument industry. Last edited by nviolette; 11-01-2018 at 02:26 PM.